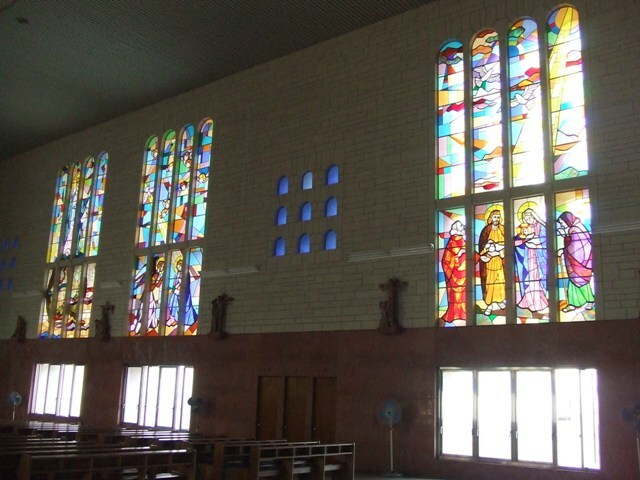 In 1894, the Roman Catholic cathedral was built as St. Agnes Cathedral, but it was completely burnt down by World War II in 1945. 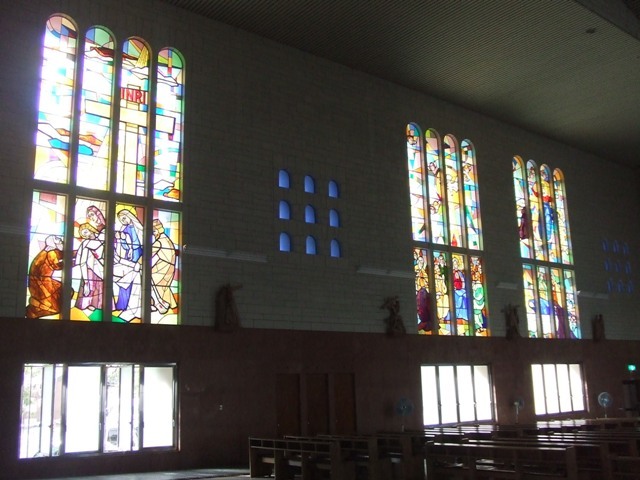 St. Francisco Xavier Cathedral was founded in 1949, but later, the current cathedral, Osaka Cathedral of Tamatsukuri of Saint Mary, was founded in 1963. Stand in front, and you can see the statue of Gratia Hosokawa (1563 – 1600) on the right. We call her Hosokawa Garasha. She died near this cathedral when she was almost taken away as a hostage of Sekigahara War in 1600. War. Her husband, Hosokawa Tadaoki was a notable samurai. 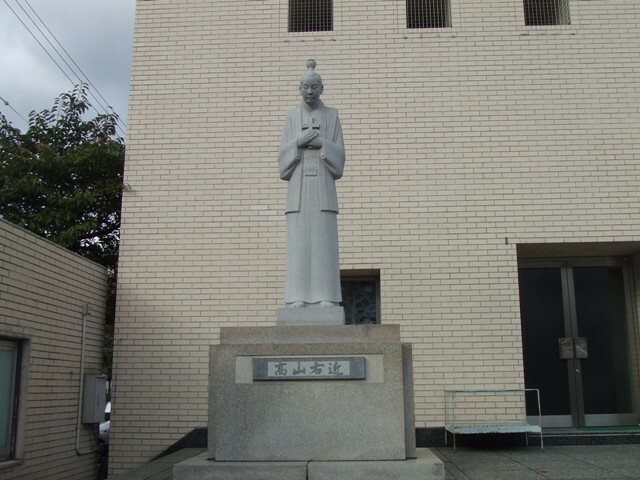 On the left, there is a statue of Ukon Takayama (1552 –1615), who was a Saumrai, and a lord of Northern part of Osaka. 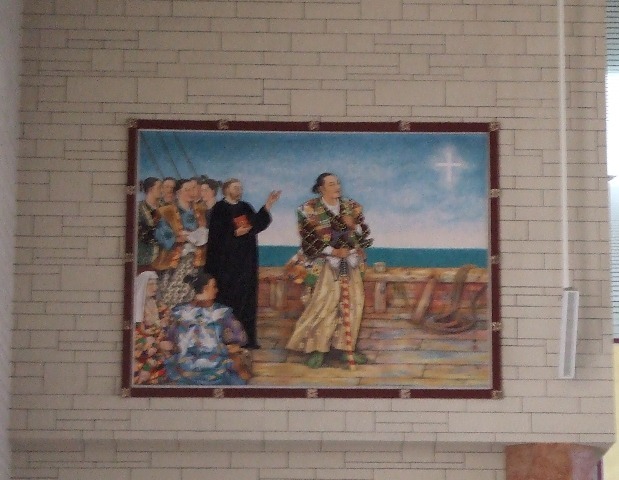 After Francisco Xavier, a Roman Catholic missionary of Society of Jesus, arrived in Japan in 1549, Catholic Christianity was wide spread all over Japan. 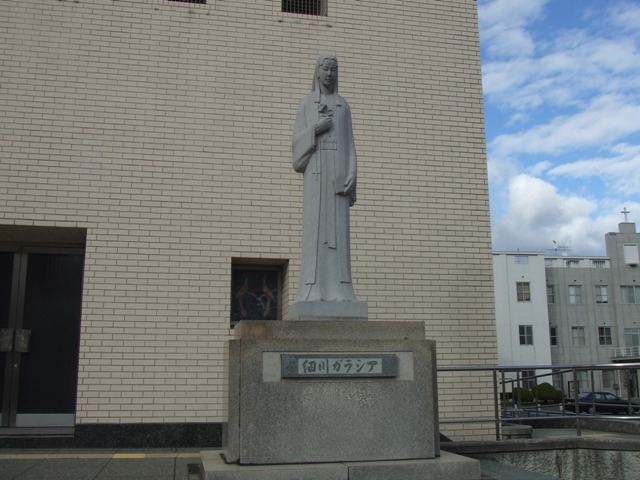 Those Catholic Christians were called Kirishitan. 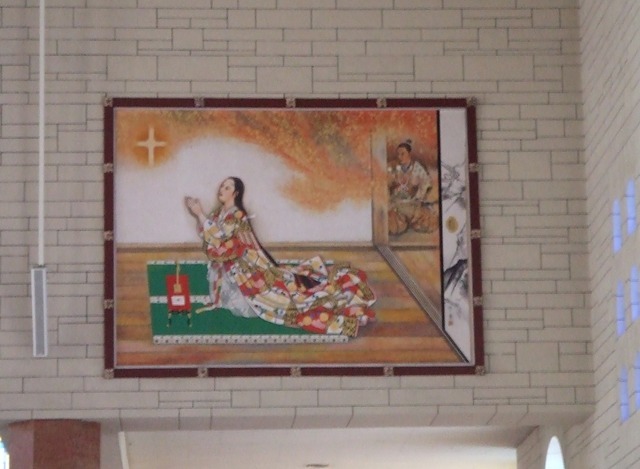 Tokugawa Shogunate prohibited Christianity in 1612, and Takayama Ukon, Dom Justo Takayama, was expelled from Japan in 1614 and died in Philippines. These two people were faithful Kirishitans from Osaka, who had tragic lives. 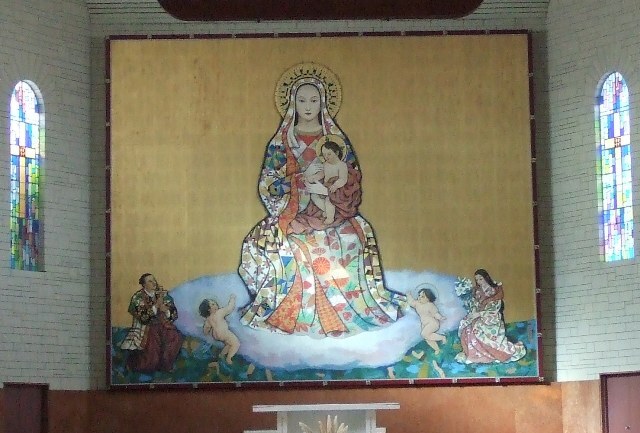 Inside of the cathedral, there are paintings of them. 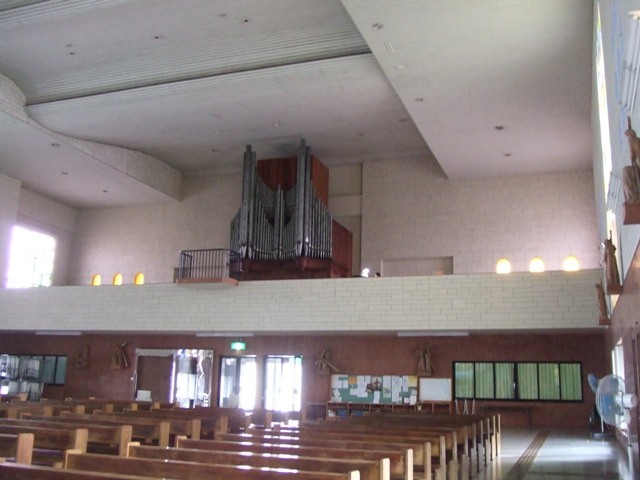 There is a pipe organ. The organist was playing Bach's Fugue when I went into there. hi, i'm Priscilla from Singapore. 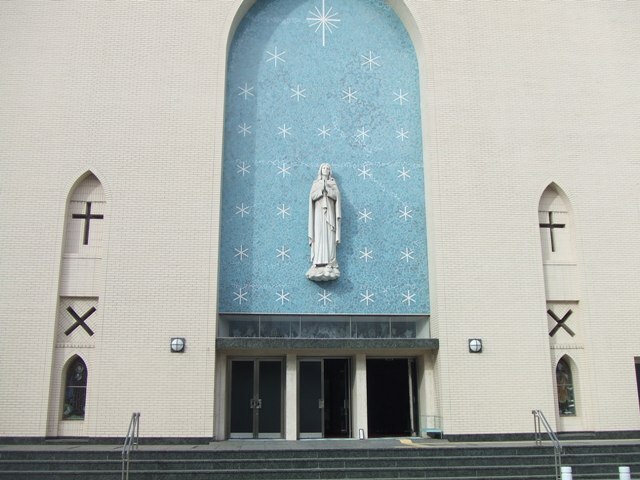 I have a plan to go Osaka on November, and would love to visit this beautiful church for a quick stop. my question is, is this church open everyday? because i probably will arrive there on thursday morning. 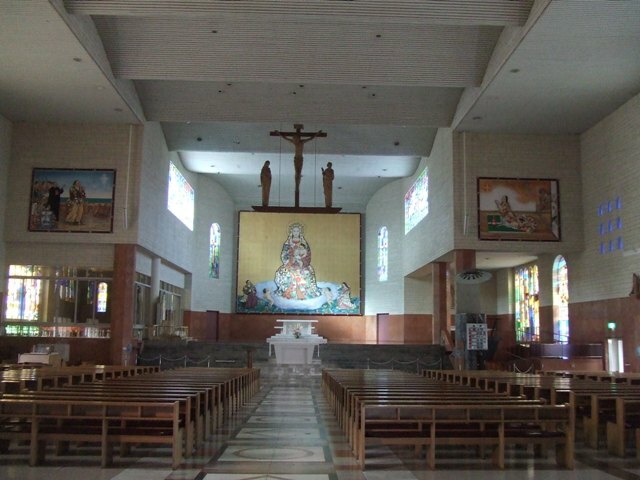 I entered this church when there was no services or events. I think it's open to public, but I am not sure. I think you can ask "Hiroaki Sasaki" by email. You can access him from the website. Hey! Someone in my Myspace group shared this site with us so I came to check it out. I'm definitely loving the information. I'm book-marking and will be tweeting this to my followers! Wonderful blog and great design and style.